Woolworth was an international retail company. It was founded by Frank Winfield Woolworth in Utica, New York on February 22nd 1878. During the 20th century it became one of the largest retail chains in the world. Woolworth’s had stores in Ireland, including one at 24/25 Tullow Street Carlow in Carlow town. Frank Winfield Woolworth was born into a farming family in Rodman, New York in 1852. In 1873, he began working as a stock boy in a general store. He observed how a clearance by the store of leftover items at reduced prices was a success. He opened his own five-and-ten-cent stores which became very successful. Following the opening of the store in Dublin in 1914 further Woolworth stores were opened across Ireland. These included stores at 24/25 Tullow Street Carlow and at 91/92 High Street Kilkenny. 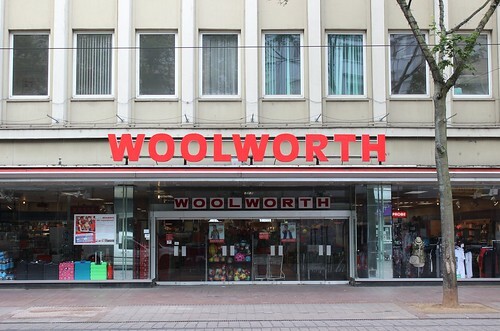 By the 1980’s the Woolworth business was in decline. All Woolworth stores in Ireland were closed down in 1984 and the company went out of business and ceased trading on July 17th 1997. F W Woolworth founder of the Woolworth international retail business was born in New York in the year 1852 On This Day.